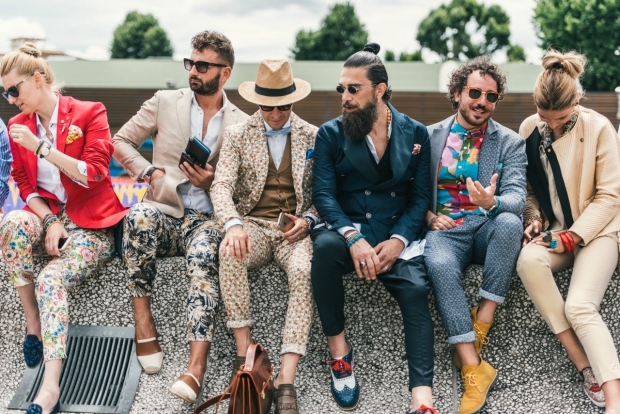 Everyone and their mother is building a brand these days, but who is doing it right? Building a strong brand that transcends time and borders is a vital necessity. Whether you have a clothing line, business or blog, you can’t deny the importance of creating your strategy. Branding involves the tactics you will use to set your product, service or self apart to make yourself memorable and stand out from the crowd. Photographer Naskademini is one such brand whose work speaks for itself. Born and raised in Montreal with a background in design, graphics and fine arts, Naskademini has created his own niche in photography. What makes his body of art particular is the warmth and connection you feel when looking at his photographs. Each of his images sets the tone for conversation around life, light and art. Recently, he shot street style snaps for the CFDA at the first-ever New York Fashion Week: Men’s sponsored by Cadillac and he also resides as the content curator/creator for the PROJECT international fashion trade show. We sat down with Naskademini to ask him a few questions. theFashionSpot: You’ve worked relentlessly at your craft and undoubtedly your brand. Can you describe your brand to us? Naskademini: My brand is based on a visual and artistic journey. It’s socially responsible and educational. I take pride in sharing experiences, thought processes and time with others through photography. tFS: What makes a brand successful in your eyes? N: A successful brand is based on consistency. It’s a lot easier said than done, or maybe even cliché. But sticking to your core values and brand ethos is how you can achieve brand constancy. Giving people what they expect of you time and time again will help you have a successful brand. tFS: How do you keep your brand relevant? N: Much like the previous question, staying relevant means staying consistent within your space. Create the story, don’t just be the story. When you create the story, you are then able to be relevant across the board. If you are the story, people can write you off as a fad or simply get bored of your brand. tFS: What is the best recognition you’ve received about your brand? N: That I am consistent and people can always tell when it’s my photo or visuals being used without having to guess. tFS: Ten years from now, what do you want people to remember about your brand? N: I would want them to remember that they felt something. That it was more about a feeling and an experience rather than just a moment in time. 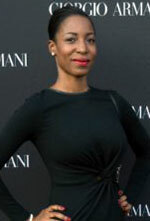 Daniella Etienne is the founder of online magazine TheBHD.com. She also owns a marketing company called BHD + where she builds partnerships and creative concepts with brands. Inspired by greatness but driven by success, Daniella enjoys making the impossible possible, finding new sources of inspiration, and pursuing the most beautiful sunsets and breathtaking views around the world.